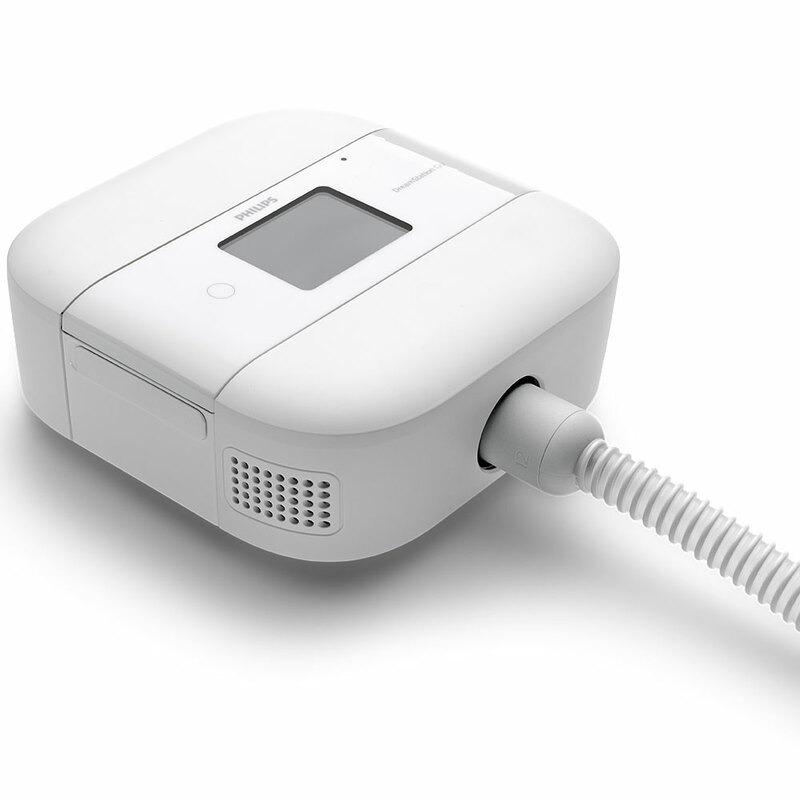 The DreamStation Go is a compact and highly portable PAP system designed for patients who refuse to compromise. The DreamStation Go offers the same therapy and comfort features as the DreamStation, but at half the size. The DreamStation Go cannot be billed to insurance. FSA/HSA cards can be used. 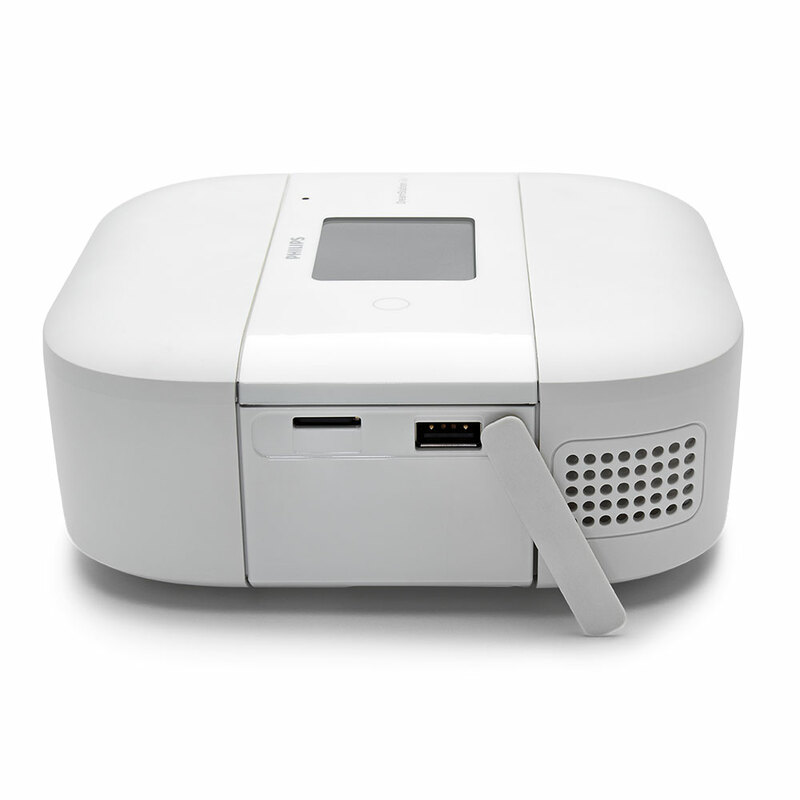 The DreamStation Go is a compact and highly portable PAP system designed for patients who refuse to compromise. The DreamStation Go offers the same therapy and comfort features as the DreamStation, but at half the size. 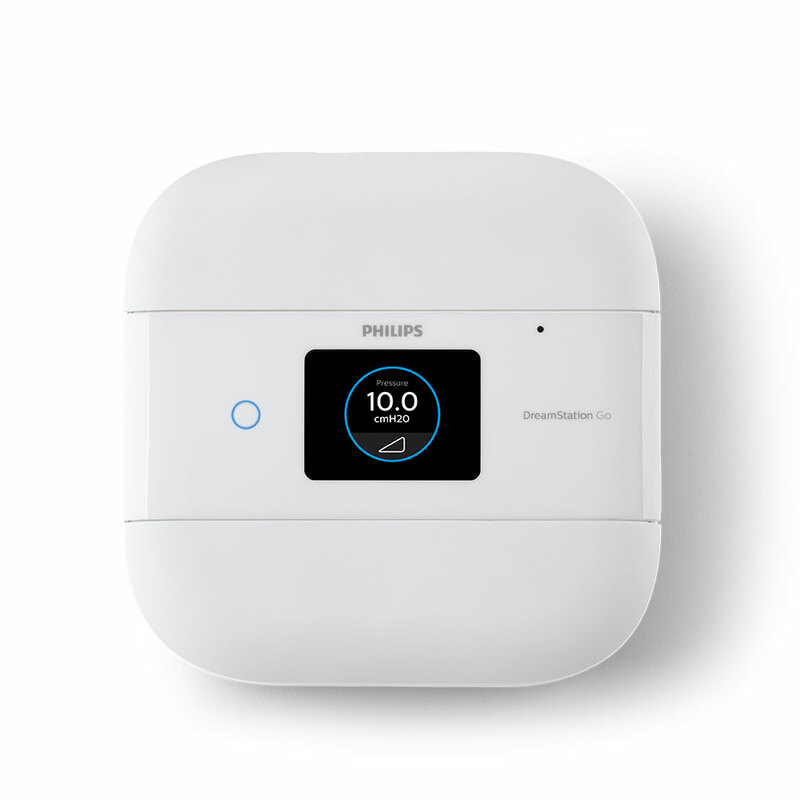 Bluetooth capabilities allow you to connect the DreamStation Go to the DreamMapper app on iPhone and Android devices so you can track your sleep data on a nightly basis. 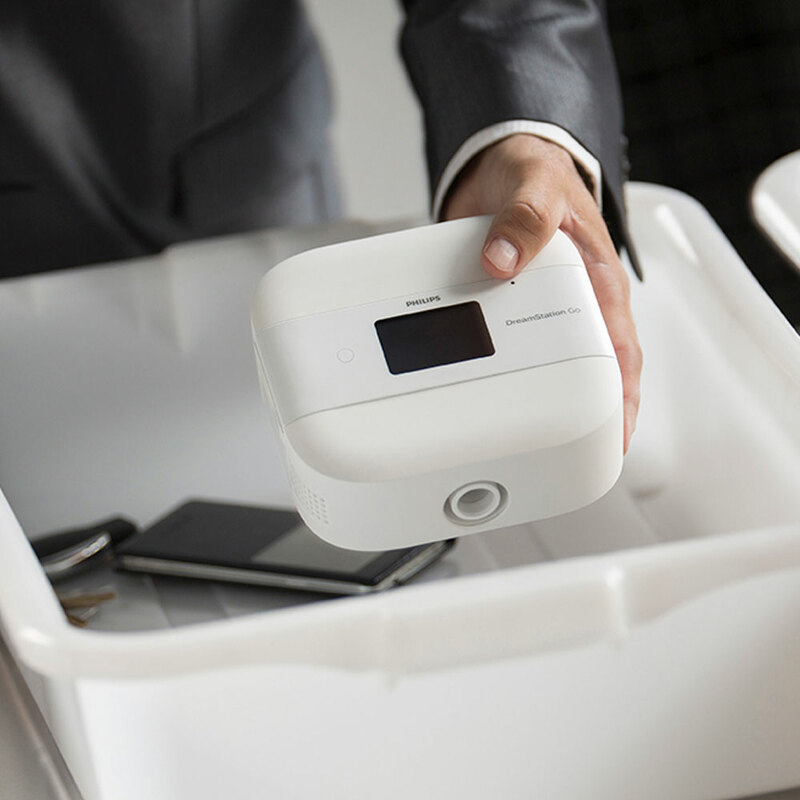 The DreamStation Go complies with FAA requirements for in-flight use. Built-in Power Supply. Reduces the number of parts managed for added convenience. Comfort Settings. Options such as Flex, (Smart) Ramp, Mask Type, Mask Fit, and Tube Type make it easy to personalize your CPAP therapy. Integrated Performance Check. Troubleshoot your entire DreamStation Go machine in less than a minute - with the click of a button. Color Touchscreen. Offers quick, simple setup and easy navigation. Onboard USB Port. Allows for easy charging of mobile devices. 12 mm Micro Flexible Tube. Respironics releases the smallest and lightest tube ever. Bluetooth Function. Connect your DreamStation Go to the DreamMapper app on iPhone and Android devices to track your nightly sleep data. Click-Connect. Click-connections on each end of the micro-flexible tubing make connecting and disconnecting the device and mask simple. Side Air Inlets. Air inlets are on the side of the machine rather than on the bottom or the back, making them less likely to be blocked. Rubber Feet. The bottom of the DreamStation is covered in rubber, reducing the chance that the device falls during the middle of the night. Optional Overnight Battery (Not Included). Click here to view the compatible battery for the DreamStation Go. I have this machine (1 yr) and like it very much. 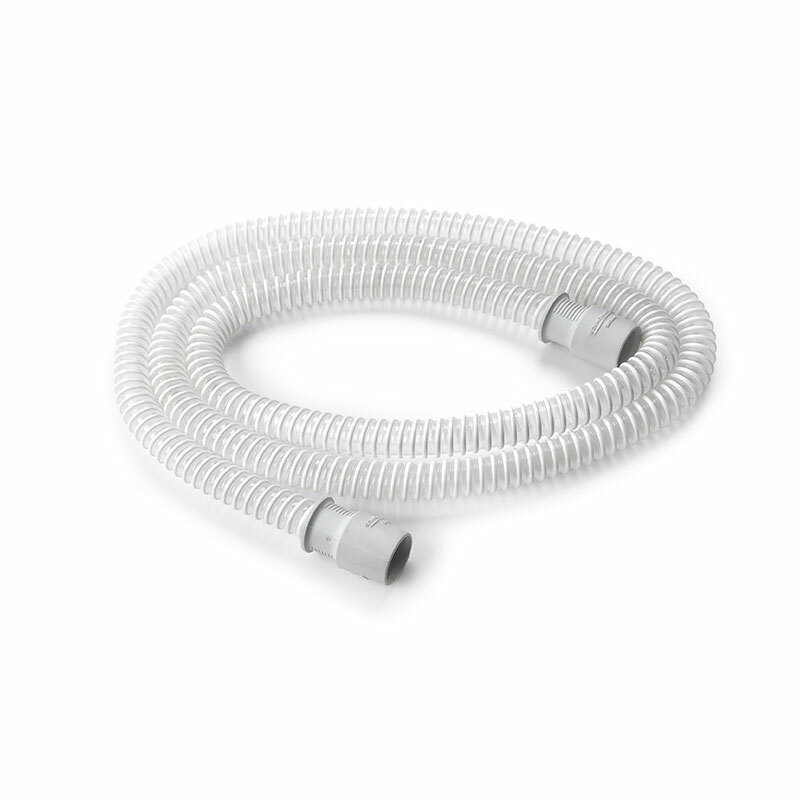 I especially like the very flexile hose and its easily packable size. It feels like a very dependable unit. There are, however, two changes I would like. The video touts its smooth flat surface. In the dark, though, it's power on/off has been impossible to find. Just pressing along the top does not work. I finally added a strip of tape to mark its position. Also, neither I nor my husband could remove the end piece. I had to take it to the medical supply store where she took it into another room to open. Even now with use, we need to slip in a knife edge to loosen it.